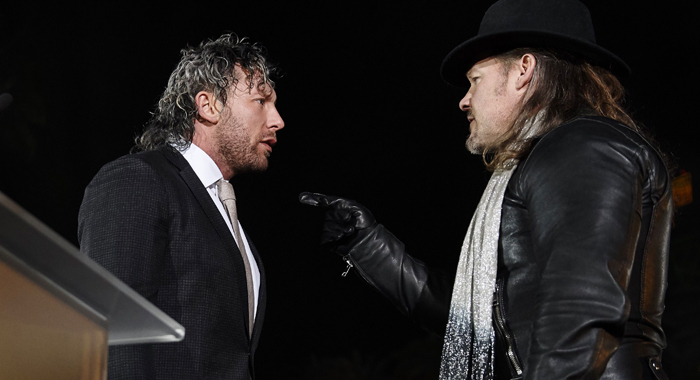 After their interaction during the recent AEW event at the MGM Grand, the company has made Kenny Omega vs Chris Jericho official for Double Or Nothing. Jericho interrupted Kenny Omega’s first speech as an official roster member for AEW, with the two men ending up brawling until they were seperated. This week’s episode of Being The Elite came to an end with a match graphic, making it official that they will compete at AEW’s debut event later this year. Jericho and Omega do have a history together from their time in New Japan Pro Wrestling, with the two men putting on a fantastic match at WrestleKingdom 12, setting the bar for how good this match could be at Double Or Nothing.